The final installment of The Summer of Bondfire Radio is here! Rock with us on a beautiful covered rooftop in Bushwick, Brooklyn, while we live broadcast for 12 hours straight! 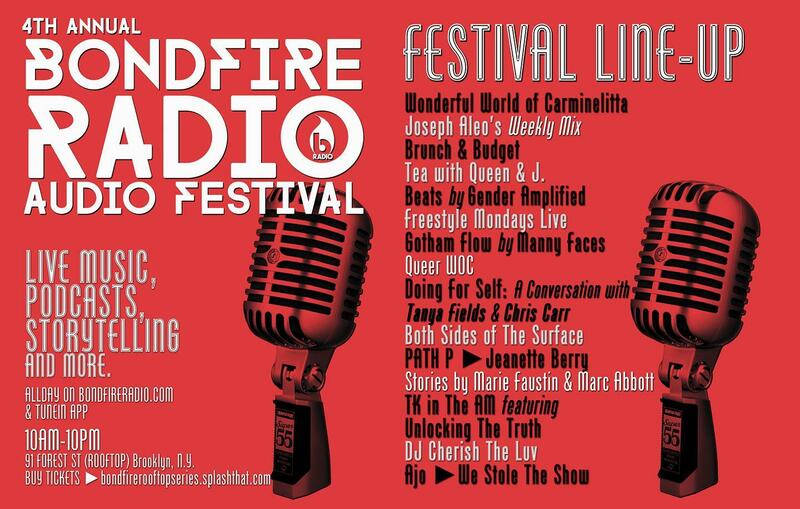 DJ's, podcasts, beat sessions, storytelling, sunshine, food, folks, and fun! We take a listen to past Audio Fest performances and moments. Hosted by OG Intern. A mini mix of the best in international Hip Hop, Soul, Funk & R&B. Joseph Aleo serves up a special Audio Festival version of his songs of the week show. Pam & Dyalekt get real about money and revisit special moments of 2016-17 with a special guest. Tea with Queen & J. Two funny Womanist race nerds live and direct! Womens production collective, Gender Amplified and women in electronic music collective, Sister present producer/DJ, FXWRK! Wht happens when a legendary Hip Hop game show hits the airwaves? Let's see! Hosted by iLLSpokinn. A dope mini mix of NYC ONLY Hip Hop by Manny Faces! #QueerWOC, the community podcast for all things Queer Women of Color community and healing. Hosted by @MelanatedMoney. Doing For Self: Creating infrastructure and Community. A conversation with Tanya Fields of Libertad Urban Farm and Chris Carr of BK Wildlife. Hosted by Manny Faces. "Best Rap Album/East Coast" from the Akademia Music Awards artist, Path P joins us for an interview and live performance. Professional Singer/Songwriter and front woman of Jeanette Berry and the Soul Nerds joins us for an interview and live performance. Find out where your favorite songs inspire new favorites. A special all covers version of BSOTS with DJ Macedonia on the 1's and 2's and even cassette decks! Storytelling LIVE with Marie & Marc! Stand up comedian and podcaster, Marie Faustin & 2015 Moth Story Slam and the GrandSlam champion, Marc Abbott regale us with tales tall and short. TK in The AM featuring Unlocking TheTruth. Your favorite alt-left morning show hosts come out at night to interview, teen metal band, Unlocking The Truth. Dance Break! DJ Cherish The Luv turns up the heat with wonderful energy. Production, vocals, and more. Alt- R&B artist Ajo joins us for an interview and live performance. The Source Academy Kid & Grand Phee close the day out with a dope high energy performance and interview. 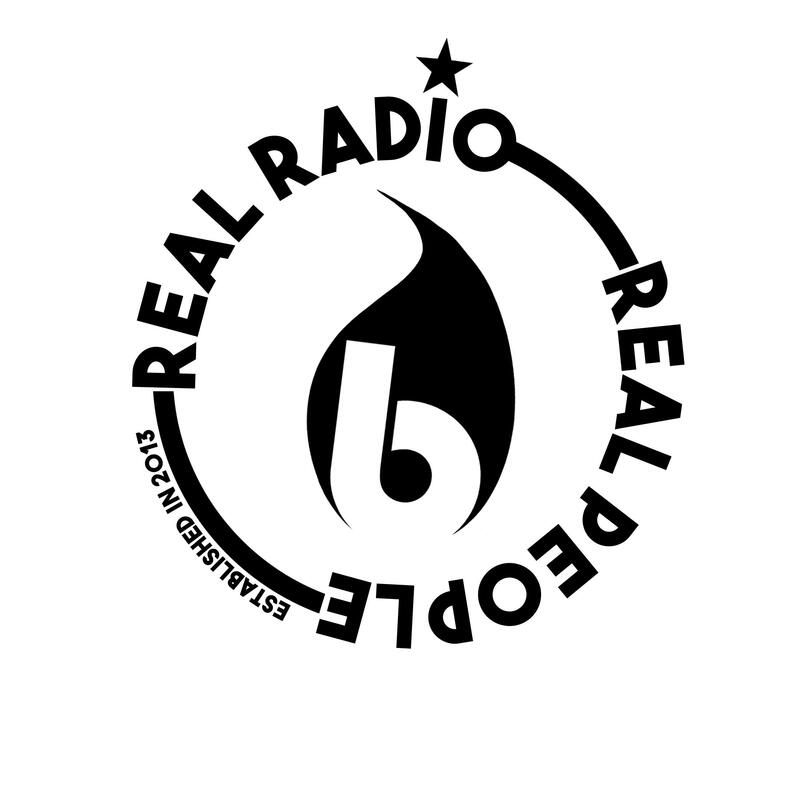 10am - 10pm EST 12 hours of Live Performances, Podcasts, Stories, DJ's, Food, Vendors and more! Experience it all in person and LIVE on air on bondfireradio.com! All proceeds benefit Bondfire Radio.